Vector clip art bundle with corner pieces, boarders, frames, flourishes, abstract shapes and floral elements all in pen and ink calligraphic style. Perfect graphics to add to traditional sign designs, posters, invitations, greeting cards, collages or tee shirts. 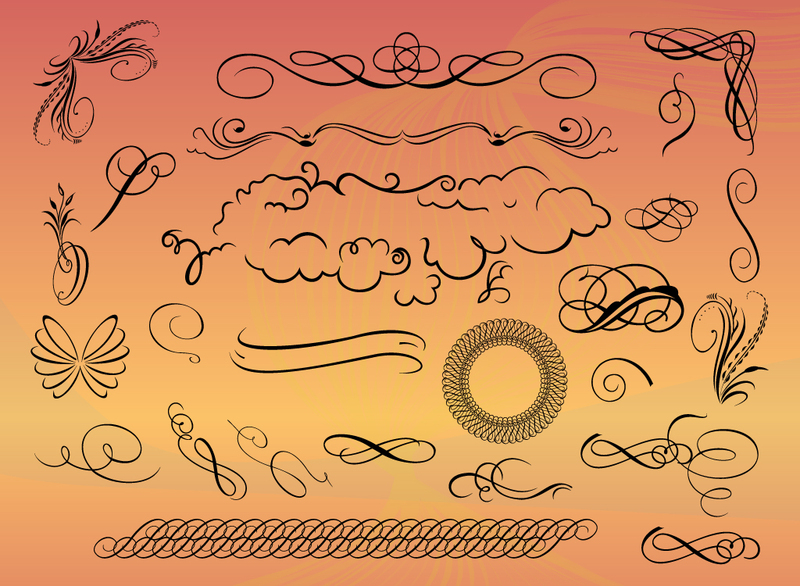 Tags: Antique, Curves, Filigree, Retro, Scrolls, Swirl, Vector, Vintage.